Scarlett and Ruby are huge, and Rory is on the rise. 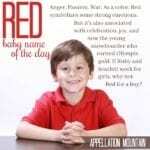 Red is the most popular of all the color names for girls, and it’s well-known for boys, too. Why not this colorful choice? 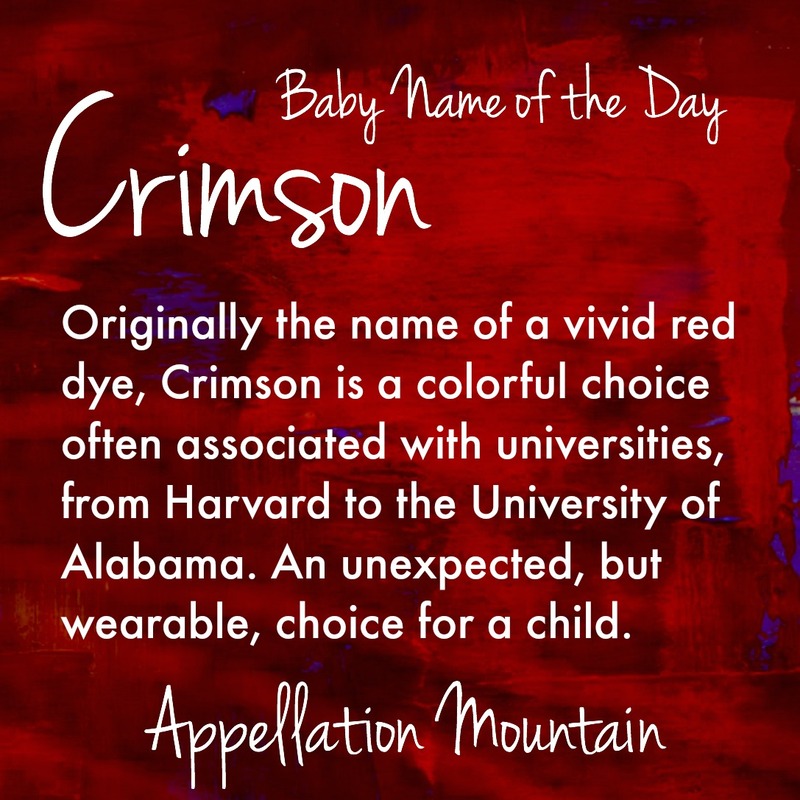 Our Baby Name of the Day is Crimson. You might know that crimson took its name from a dye used for centuries. 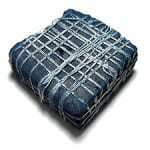 And like any historic dye, it came from organic sources. In this case, the deep red color was produced by crushing up a type of louse. The bugs were called cremesinus in Medieval Latin, ultimately from the Sanskrit. The color became cremesin in an older form of Spanish. 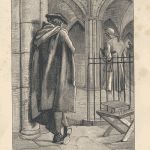 By the 1400s, crimson was the word in English, too. It’s also known as kermes dye, and the oak tree where the louses lived was often called the kermes oak. The dye dates back many centuries, but it was lost for a time. That’s probably why the English word doesn’t come along until the fifteenth century. Every school has its colors, but crimson is associated with a number of notable institutions, including Harvard, the University of Utah, the University of Oklahoma, the University of Alabama, and Boston University. Alabama’s sports teams as known as the Crimson Tide, and Harvard’s daily newspaper is The Harvard Crimson. I suspect that plenty of the children with Crimson as a first or middle name are born to alumni of one of those schools. It’s the national color of Nepal, and the color of the country’s distinctive flag. 1995 blockbuster Crimson Tide was the story of a submarine – the USS Alabama – facing a potential threat from the Russian Federation. 1968 song “Crimson and Clover” was a mega-hit for Tommy James and the Shondells, often covered and named to best-of lists. 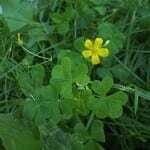 There is such a thing as a crimson clover, native to Europe, but there’s no deep meaning to the song title – Tommy James just liked the phrase. There’s a variety of apple known as the Crimson King. Marvel Comics has used the color in the name of several supervillains, almost always Russian or Soviet enemies for Iron Man. 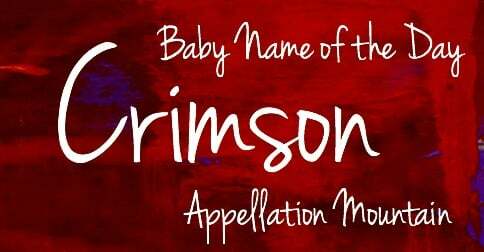 Crimson: But is it a name? All of this makes for an interesting story about a color, but is Crimson a name? And if it is, is it better for a boy or a girl? With two syllable, ends-in-n names for boys so dominant. Crimson almost belongs on Team Blue. But the numbers aren’t as clear. It’s been used for girls in sparing numbers since the 1970s. Only in the last fifteen years or so has it been seen for boys. As of 2014, there were 52 newborn girls and 38 newborn boys given the name. That’s pretty rare, but Crimson does seem to be catching on slowly. 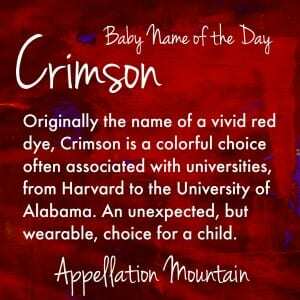 If you’re crushed that Ruby and Scarlett are so very popular for girls, Crimson could be the baby name for you. And if you’re a graduate of one of the many universities to embrace the color? 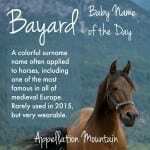 It’s perfect for a son or a daughter, as a surprising middle or a truly bold first name choice. What do you think of Crimson? Is it better for a son or a daughter? My whole life I’ve loved the color red. My favorite “red” names are the simple but beautiful Rose and the bold Scarlett. But my guilty pleasure “red” name is Vermilion. However even for a red lover like my, I have a hard time thinking of crimson as a given name.